If you’re reading this article, then chances are you own at least one Rolex watch, and you want to keep it in excellent condition. One of the best ways to do this is to store your Rolex properly. There are several factors to consider, such as how often do you wear your Rolex? Do you live in an area with high humidity? And does your Rolex have a date display that needs to be adjusted if not worn regularly? Below we will discuss each of these factors in further detail so that you can make a decision that suits your lifestyle and timepiece the best. One of several factors to consider is: How often do you wear your Rolex? If you wear your Rolex daily, then storing it in a watch box or safe should suffice. 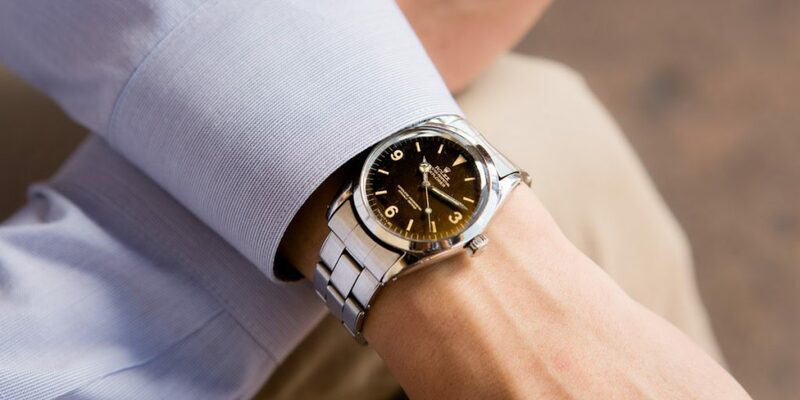 Most Rolex watches have a reasonable power reserve that should keep your watch ticking from the moment you take it off at night to the moment you put it back on in the morning. If you prefer to reserve your Rolex for special occasions or choose to rotate between several watches, then you may want to consider storing your Rolex on a watch winder. This option will keep the movement in motion as well as the date and time current. If you’re planning on storing your Rolex for an extended period of time, make sure that the movement is well-oiled and that the crown is in good condition before storing it. You may also want to wind it about once a month to allow the components of the movement to move around. Allowing the movement to remain stagnant may require more maintenance in the long-run. On the other hand, keeping your watch on a winder may cause wear and tear and is also not necessary if you won’t be wearing it regularly. Leaving your Rolex stationary in a watch box or safe with an occasional wind should work just fine. Another factor to consider is humidity and other elements such as light and dust. Even if you have your luxury watches safely tucked away in a box, moisture and other elements may still cause damage over time. Humidity and dust can find their way into the case, causing damage to the movement and dial. Choose a humidity-controlled watch box or safe that will keep your Rolex dry and cool. It’s also recommended to keep your Rolex in a dark place, away from light. Constant light exposure to the dial may cause it to fade over time. While some aging is desirable on older Rolex watches, it’s best to preserve the quality of the dial for as long as possible. Whichever option you choose, it’s important to consider the long-term value of your timepiece when storing it. Keeping your Rolex in perfect working condition by storing it properly and having it serviced by a professional as recommended by Rolex is a great way to ensure that your investment holds its value long after your purchase it.